Sparkling Water Maker Just $17.56! Down From $50! Shipped! You are here: Home / Great Deals / Amazon Deals / Sparkling Water Maker Just $17.56! Down From $50! Shipped! Amazon is currently offering this Sparkling Water Maker for just $17.56 down from $49.99 PLUS FREE shipping! No more plastic waste. 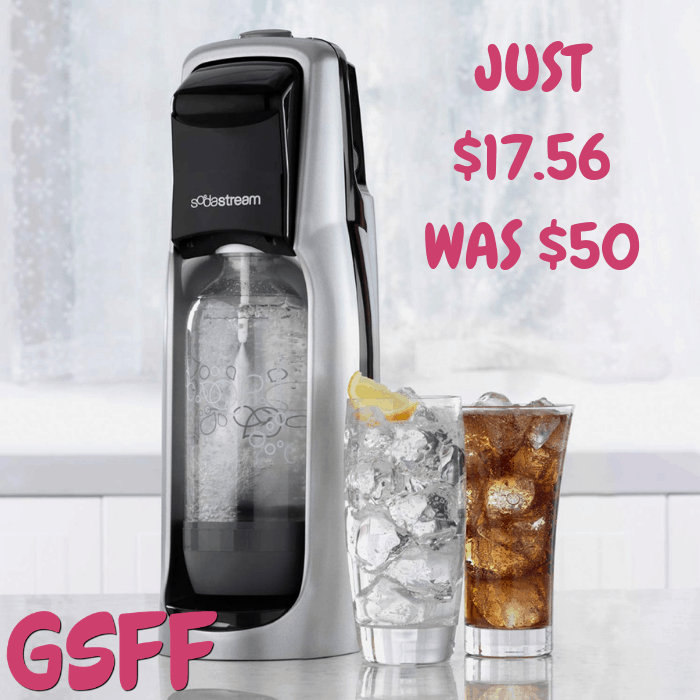 Powered by a reusable CO2 cylinder, the refined mechanics of the SodaStream Jet Sparkling make it easy to quickly transform water into perfectly customized drinks. No more lugging. No more storing.